There is no better moment in life then when you’re young and free. There are plenty of opportunities that come up in life for you to truly feel this, but none are as impactful as taking part in some of the greatest and largest parties in the world. Dubai and Ibiza both hold one of the most famous beach clubs, the Blue Marlin. There you will truly experience what it is to be young, wild and free. Whether you want to recapture your youth or impress all of those there, Seven Yachts are offering a full day trip to venture to one of the biggest beach clubs in Dubai. The Blue Marlin isn’t simply a famous club, it’s a famous club that regularly has guests of the highest stature. Some of the wealthiest and famous people worldwide, fly across the globe to experience all that Blue Marlin has to offer. It is the ultimate dining, entertainment and music experience. Their gourmet chefs serve up the finest Mediterranean dishes you can buy and their DJs play the latest tracks available. The venue overlooks the gorgeous, picture-perfect crystal waters and offers an outdoor experience like no other. Once you’re there you’ll truly understand why such high-class clientele travel so far for this renowned beach club. You’ll fit right in with these high end guests, as you make a grand entrance arriving to the beach club in your own, super yacht. Be the awe of all of the guests as you anchor in the marina and step onto the beach with your friends in toe. Get ready to spend an entire day of world class partying. 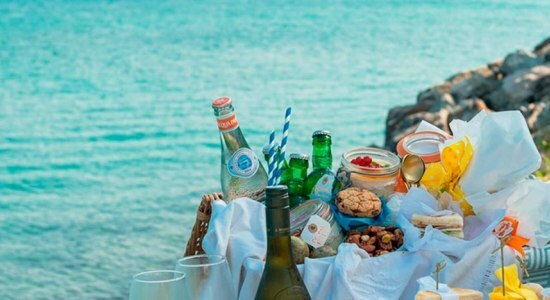 As you mingle with the locals, sip on delicious cocktails and eat delicious Mediterranean cuisine. Relax on top of luxurious sunbeds that are designed for your comfort as you listen to the biggest music tracks out at the moment. Then, dance the day away with the rest of the club as the sun sets over the beach and you have the time of your life. The fun doesn’t stop there. Once the day ends, bring your newly made friends back to your own private party on your super yacht. Wow them with your lavish lifestyle and leave them with an experience they’ll never forget. Dance the night away as your cruise back home, playing your favourite music through the latest in the BOSE sound system that blasts music from your sundeck. Once you’ve arrived home, just sit and take a minute to realise that you truly have experienced what it is to be young and free. While life will always offer opportunities to have fun, there is nothing better than making sure that fun is of the highest quality. The Blue Marlin will leave you with memories that you and your friends will keep for a lifetime. There is no better experience than this and Seven Yachts are determined to make sure you get to enjoy it all for yourself. Book when you can! The Formula 1 Grand Prix Racing Event brings in hundreds of thousands of people from all corners of the globe. Take part in this epic 3-day blow out from the decks of the finest luxury yacht for hire in UAE. 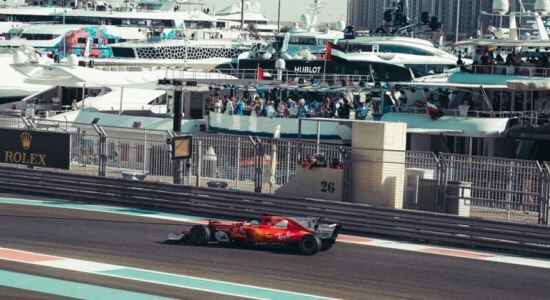 Watch Yas Marina light up as the Grand Prix unfolds and book with the number one brokerage in the market 3 years running. Birthdays are one of the most important dates on the calendar year for anyone. Celebrate it in elegant style and pure class by organizing a birthday party aboard our luxury yachts. When you rent a yacht in Dubai from us, you are sure to get meticulous service from our crew and we guarantee that you will cherish the cruise. An anniversary is something to cherish whether you and your lover have been together for one year or twenty. With Seven Yachts, you get the unique opportunity to rent a Yacht and voyage along the many hidden destinations around UAE and Oman. We invite the celebrating couple to experience a romantic cruise. Start your day off right with breakfast onboard a luxury yacht and cruise the Dubai Coastline at Sunrise. We offer a wide range of continental and healthy breakfast menus with fresh fruits, juices, and coffee. Treat your self to one of our breakfast yacht charter packages at discounted morning rates. By far our most popular yacht charter package, our Discover Dubai itinerary incorporates all of Dubai’s highlights into 4 hours of coastal cruising and sightseeing. See the iconic Burj Al Arab, and Burj Khalifa from the water then cruise down the coastline towards Sheikh Mohammed’s private island, the Palm and Atlantis. Just North of Dubai is the incredible coastline and crystal clear waters of Oman. Mussandam is quickly becoming one of the regions top yacht rental destinations. It offers fantastic fishing, dolphin watching, scuba diving and incredible scenery. Oman is a must see for all yachting enthusiasts. South of Dubai lies the Captital City of the UAE, Abu Dhabi. More known for its oil, Abu Dhabi is in fact home to some of the best yachting destinations in the country. From its pristine mangroves and island paradises like Zaya Nurai, to the Iconic Emirates Palace and Yas Marina Formula 1 circuit. Exploring Abu Dhabi by yacht charter is one of our top picks. There is nothing quite like seeing the Sun fall behind the horizon, while gazing over the unique Dubai Skyline. A yacht charter at sunset set is a sure fire way to relax, unwind and impress a loved one. 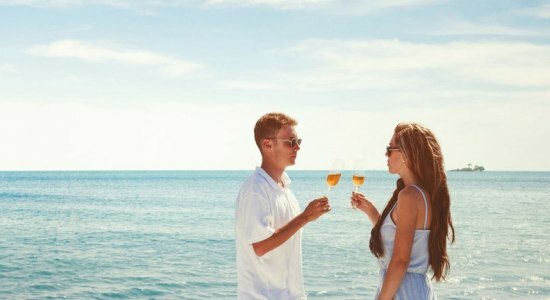 Depart from Bulgari Resort and cruise the Dubai Coastline with your favorite drink in hand. A hidden gem in the beautiful waters of the Arabian Gulf off the coast of Abu Dhabi, Zaya Nurai Island is a private resort that is sure to take your breath away. With a glamorous arrival via one of our luxurious yachts, you will have full access the the resort Spa, restaurants and range of water sports.